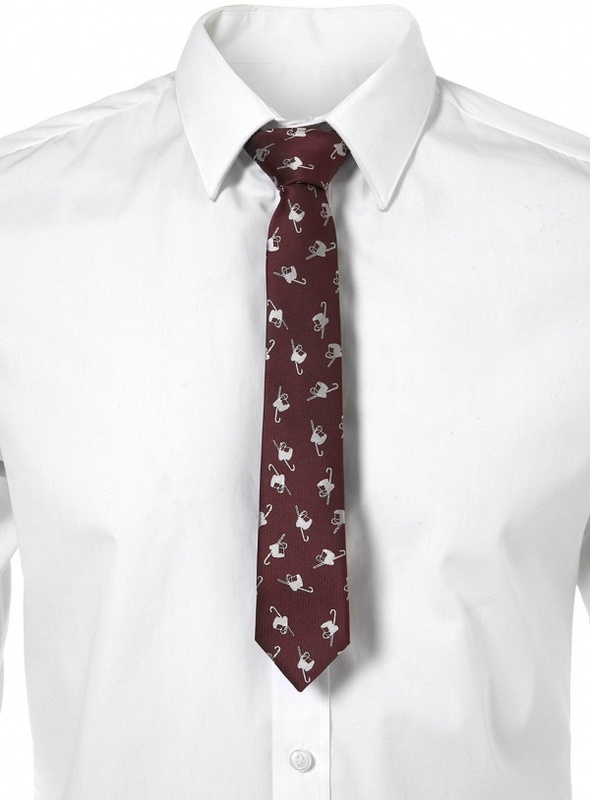 Jazz up your suit with this burgundy tie patterned with an understated yet remarkably classy top hat and cane motif. Made of 100% polyester, extremely affordable, and completely machine washable, it’s the perfect accent piece for any snazzy man on a budget. Available online at Topman.